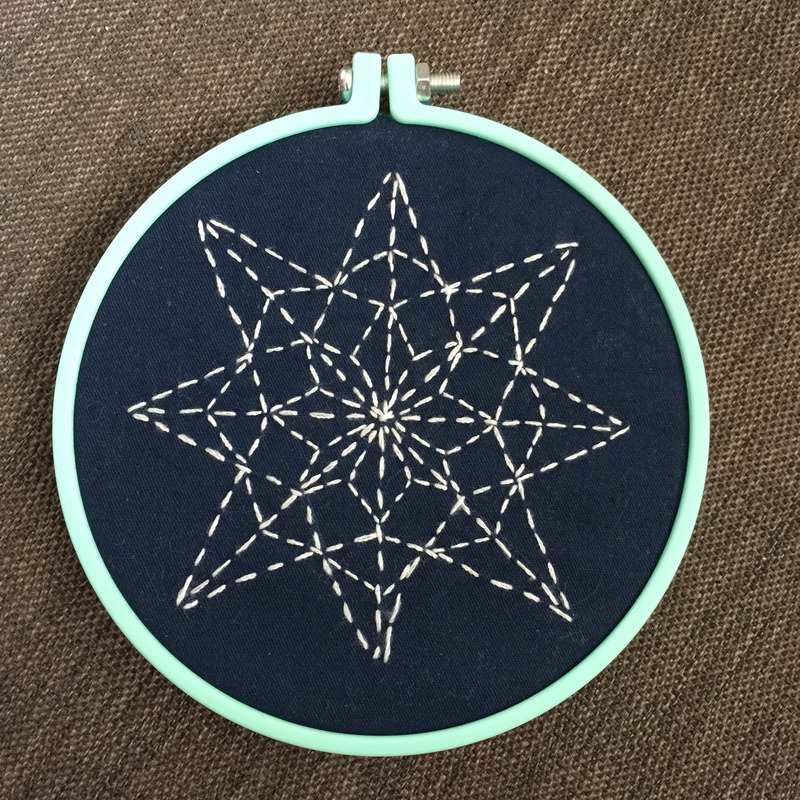 Jenny Makes Mollie Makes star hoop stitch kit from issue 53. 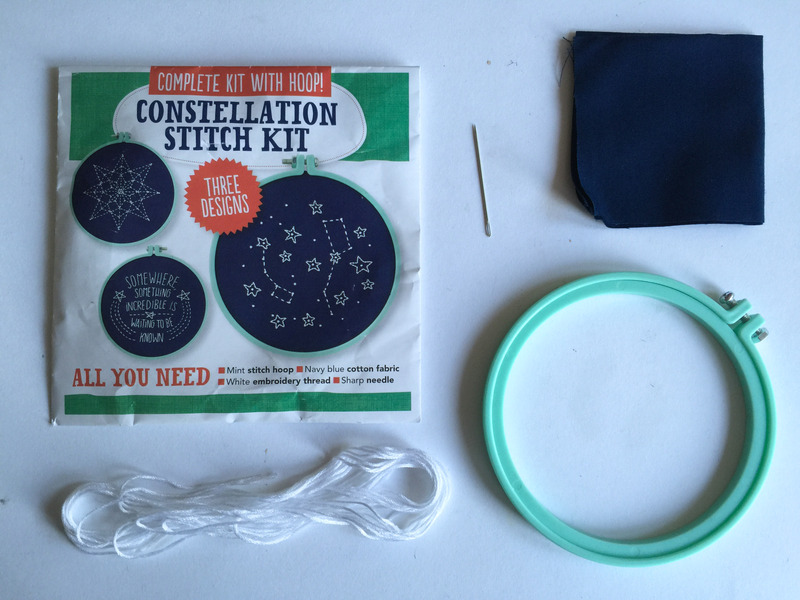 There were 3 sweet designs to choose from, a piece of navy blue fabric and a gorgeous turquoise plastic embroidery hoop. 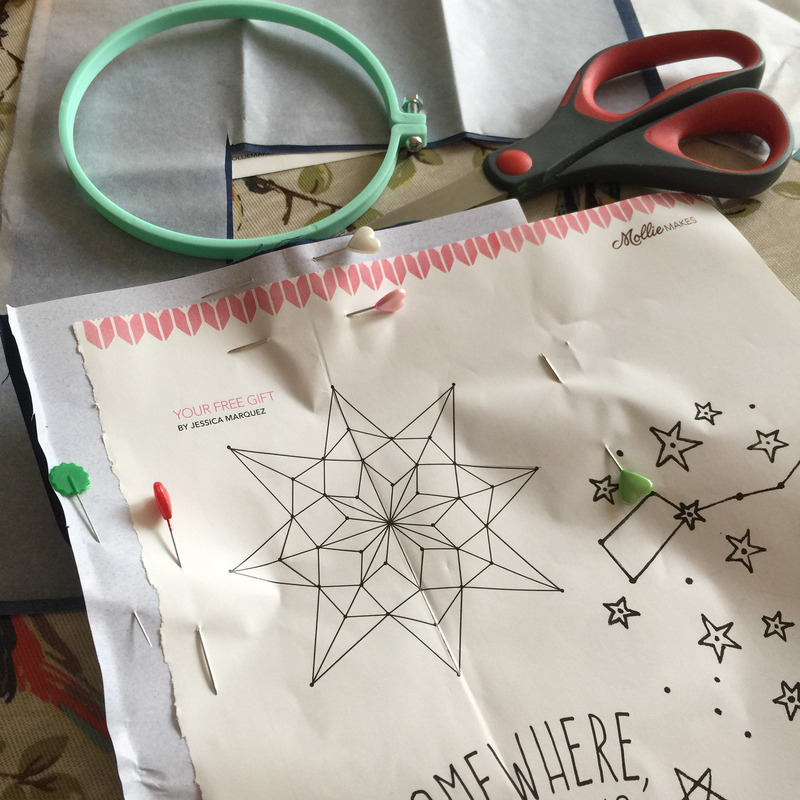 The instructions recommended using coloured transfer paper on to the dark fabric. Unfortunately the kit didn’t include any so I bought a pack of coloured transfer paper from eBay and waited for it to arrive. I used blue transfer paper but it didn’t work at all so I used white transfer paper which worked perfectly. 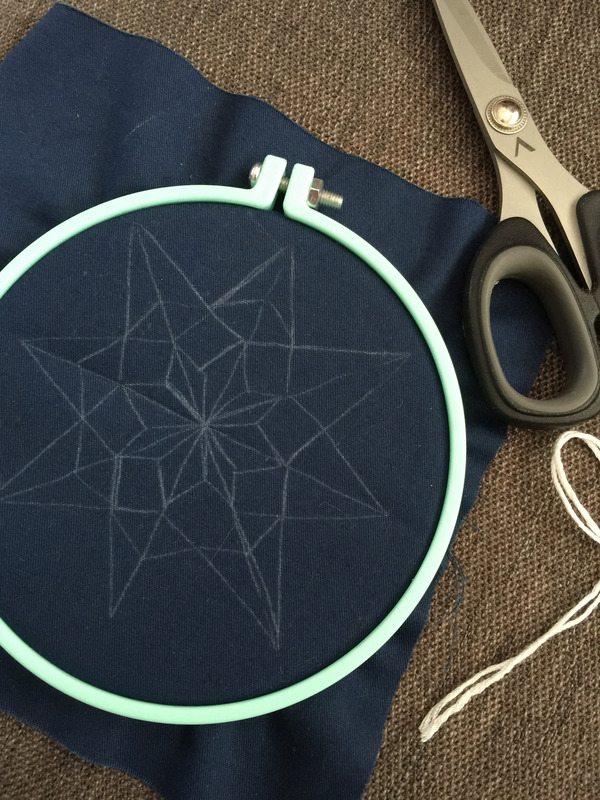 I stitched the pattern in an hour using running stitch. To finish it off I trimmed the fabric, glued it around the back of the frame and covered it in blue felt. I love hoop art and this was a sweet little make.